Vinyasa is a Sanskrit word meaning “to place in a special way”. In this style of yoga the poses are interconnected – or placed together using breath and movement to create a dynamic flow. Our Hot Vinyasa Flow class uses external heat and humidity to safely go deeper into the postures. 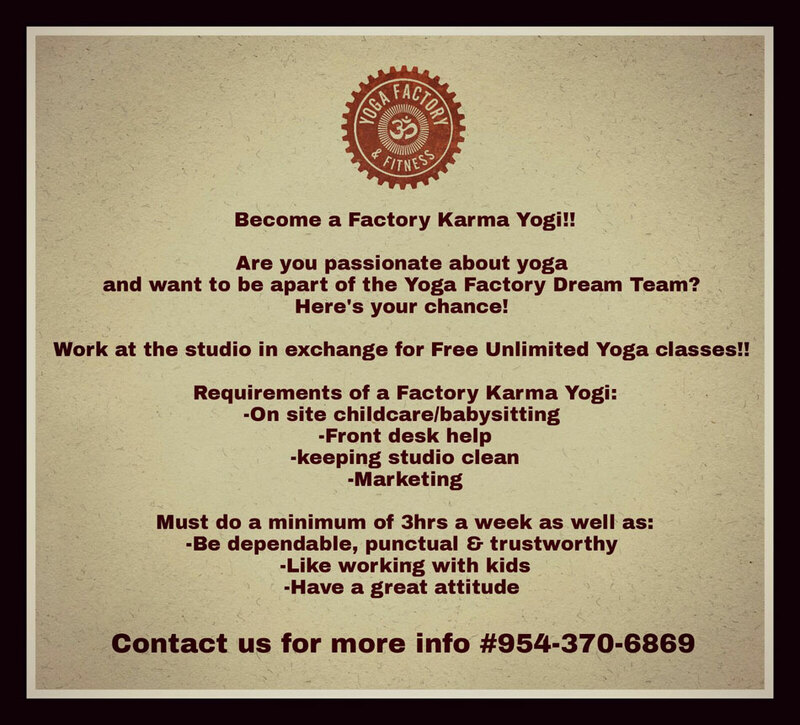 Students will be guided through the Factory Flow, a dynamic yoga sequence that will warm up the body with a diverse range of poses providing a complete practice. It is important to be well hydrated before, during and after class. We recommend you wear moisture wicking fabrics, bring a towel, yoga mat towel, and water to class. Experience is helpful but not required. This is an all levels class created to improve felixibility, balance the body, quiet the mind and touch the soul. Our Non-Heated Vinyasa Flow class offers a dynamic variety of poses woven together to create a safe and enjoyable practice in a cooler room. A great place to start but still challenge yourself. This is an all levels class that will leave you feeling inspired and empowered. Those who are devoted to the practice say hot yoga has amazing physical benefits. Most often detoxification is the first one to be mentioned. The room is heated to an optimal degree to induce heavy sweating to help flush toxins from the skin while allowing the practitioner to go deeper into the postures. Working in a heated room also elevates the heart rate, which makes the body work harder – appealing to students who want a more intense workout—those who want to develop strength, flexibility and tone along with a cardiovascular workout. Happier mood, decreased back pain, better focus, more energy, restful sleep, calmer mind, and balanced mood are some proven benefits of Hot Yoga. It’s important to be well-hydrated. We recommend drinking water throughout the day, bringing water to class and replenishing lost minerals/electrolytes with a fortified beverage designed for that purpose or coconut water. It is beneficial to keep meals smaller prior to class and to eat at least one hour prior.